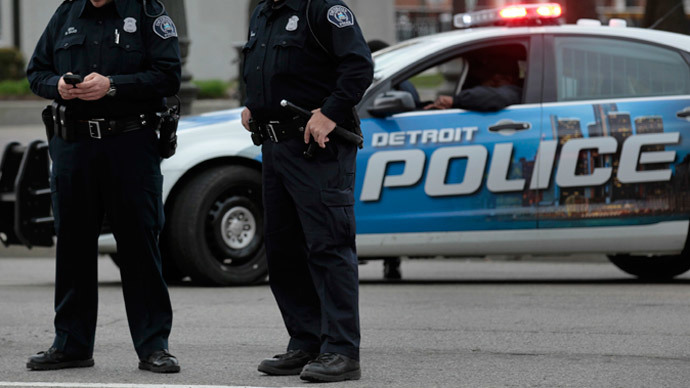 Two veteran Detroit police officers have been charged with multiple counts of robbing drug dealers of money and drugs during police searches over a four-year spree. The eight-count federal indictment unsealed Thursday includes possession with intent to distribute five or more kilos of cocaine, possession of a firearm, robbery, extortion and drug trafficking. The police officers arranged the drug transactions so they could rob the civilians when they carried out traffic stops and fake arrests. The complaint said they would fail to log the money, drugs and other property into evidence. Instead, they allegedly split the proceeds, arranged to sell the drugs and share the money generated by the sales. “Sometimes they would conspire with other drug dealers to set up individuals. They would conduct a fake arrest…and then take the drugs and money from the individual who was there for the drug deal,” US Attorney Barbara McQuade told WWJ Newsradio 950. The indictment comes months after Police Chief James Craig disbanded the department’s narcotics unit and the officers became the target of a federal investigation. Hansberry, a 16-year veteran, and Watson have been on suspension since October.